Welcome to Keep Driving Auto. If you are looking for garage services Swansea then you have come to the right place. We are a local and independent garage based in Swansea offering a range of reliable and affordable garage services for our local customers. With a team of fully qualified mechanics and a state-of-the-art garage workshop, we will give your car the attention it deserves. Our Swansea garage services include MOTs, vehicle servicing, car diagnostics, emission control, brake repairs and clutch and timing belt replacements. 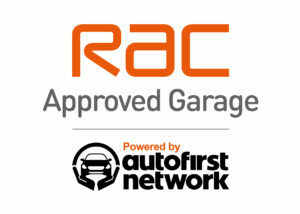 So, if you need a trustworthy garage, look no further than Keep Driving Auto. Need your car serviced? Speak to the experts at Keep Driving Auto. We have a team of fully qualified mechanics, and offer a range of servicing packages at a great price. Need affordable clutch replacement? No problem! We can replace clutches in all makes and model of vehicle at a great price! Looking for a fast tyre fitting service in Swansea? For economy and premium brand tyres at a great price come to us. With same day fitting available we will have you back on the road in no time. It is important to have fully functional brakes. You never know what could be around a corner. We offer affordable brake repairs by trained mechanics. Are you struggling to diagnose the problems with your vehicle? Look no further, Keep Driving Auto can help you find and fix the problem at an competitive price. Control your emissions and maintain your car with our professional emission control services. Contact us to find out more. Every year we all need to get an MOT. Keep Driving Auto does the job quickly and at an affordable rate. We are qualified mechanics and will MOT your car quickly. Book your car in today! Get your timing belt changed before it's too late! Visit us for professional timing belt replacements at a price that's right. Cars need repairing at the most inconvenient times. But don’t worry, we offer courtesy cars to our customers if booked in advance. So you can carry on with your daily routine without a hitch! So, if you require our garage services Swansea, simply give us a call. We will be happy to book your vehicle into our specialist garage at a time that suits you.